That booger was HUGE. 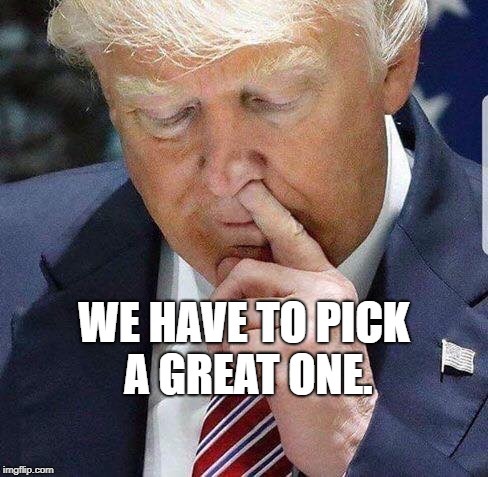 It needed to be picked bigly! WE HAVE TO PICK A GREAT ONE.